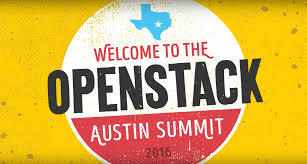 The awesome Narendra Narang and myself got invited to speak as alternate speakers at OpenStack Summit in Austin 2016. Unfortunately nobody backed out and we were not able to present our talk about building a successful cloud environment. Attached find our presentation. The presentation will walk you through the journey of what you will have to think of and what you will have to prepare for to get to a successful cloud environment.